Even if you don’t care about the environment or animal welfare, you should care about this: The antibiotics conventional farms pump into their birds results in deadly bacteria that doesn’t respond to normal treatment. Forget whether it tastes better or is nicer to the bird. Non-organic chickens are a public health issue. 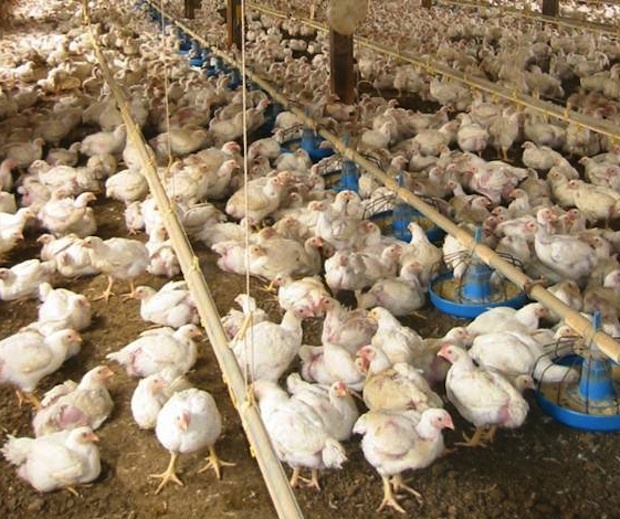 You may not believe that organic meat has significant environmental or health benefits, but a new study claims that organic poultry farms have lower levels of antibiotic-resistant bacteria. And as soon as conventional poultry farms switch to organic processes, there are immediate drops in levels of drug-resistant enterococcus, a kind of bacteria that can cause meningitis and other unpleasant sicknesses that become a lot harder to cure when the bacteria has spent time becoming resistant to modern medicine. transition to organic standards,” explained Amy R. Sapkota, one of the study’s researchers, in a statement. Sapkota and her team studied 10 conventional and 10 newly organic farms, and tested them all for enterococci in water, poultry litter, and feed. The enterococci was then tested for its resistance to 17 types of antimicrobials (many of the antibiotics given to animals are used to prevent enterococci, among other kinds of bacteria). All of the farms had enterococci in their water, poultry feed, and litter–but the newly organic farms had much less of the antibiotic-resistant strains. A whopping 84% of enterococci found on the traditional farms were resistant to multiple drugs, compared to 18% on the organic farms. Drug-resistant bacteria is a huge problem of modern society that is just starting to rear its head, and recent salmonella outbreaks highlights just how dangerous antibiotic-resistant bacteria from meat products can be. The University of Maryland’s study does, at least, provide another incentive for conventional poultry farms to go organic.